The text that follows is a dialogue between Catherine Lenoble, Pixelache's micro-residencies' first resident and Nathalie Aubret who coordinates the programme. It reflects back on Catherine's 'Meta-residency', on a week of exchange and on future perspectives for this residency programme. And See photos & documentation produced for the Residency's Augmented ToolKit. Catherine Lenoble: I was offered a nice position last week at Pixelache in Helsinki: to open the pilot chapter of a micro-residency program. Nathalie Aubret: It's no hazard if Catherine from Nantes (FR) was offered the first position of this new residency programme, as she is the one who both directly and indirectly inspired it. The idea for these micro-residencies originates in the study visit of Catherine to Pixelache at the end of year 2009 and took shape after the trip of the Pixelache crew to LabtoLab in Nantes in June 2011. Both proved in many ways, the importance of also meeting people outside big events and the worth of creating different methods / frameworks to exchange knowledge, get to know each other and develop collaborations. C: I have to say that I was delighted by the invitation and saw in it a great opportunity in a wink of eye. Initiate meta projects or pilot programs used to be one of my main (and favorite) activities at PiNG . My role consisted in designing spaces and inviting people to join in, experiment, use that ground to go even further together. I worked on creating situations from which all the parties involved could benefit. Most of the time, they were based on open and collaborative approaches, on documenting and sharing the projects' background and processes, not only with peers but also with audiences or professionals from various horizons, through small-scale actions oriented towards sustainable dynamics. N: All along the week, Catherine shared various thoughts and experiences based on the LabtoLab experiment, a nomadic university project she initiated during her time at PING. To me, a striking illustration of the idea of peer-learning and sustainable dynamics principles Catherine has been exploring through LabtoLab, is a simple action she implemented for PING's staff. 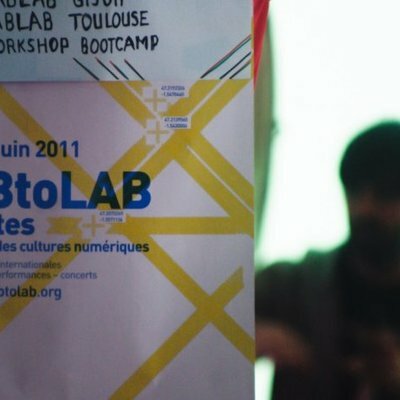 Indeed, when she started planning the LabtoLab project, having in mind that its last chapter would take place in Nantes and also that apart from her, no one in the staff was fluent enough to really fully take part in this European experiment, she encouraged her colleagues to take English classes. 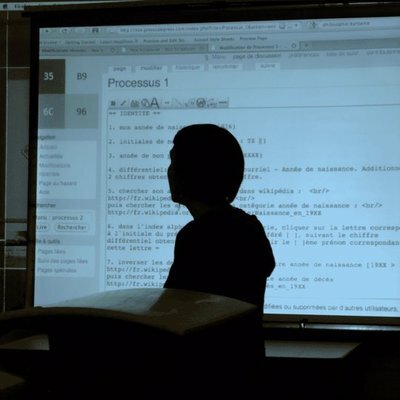 Applying for specific training funds available to employees of an organisation, PING staff prepared for the LabtoLab meeting in Nantes two years in advance, attending English classes. That's a very good example of sustainable dynamics. It would be worth mapping all the sustainable dynamics the project triggered, because there are for sure very many of them and of very different natures. And it's not over. 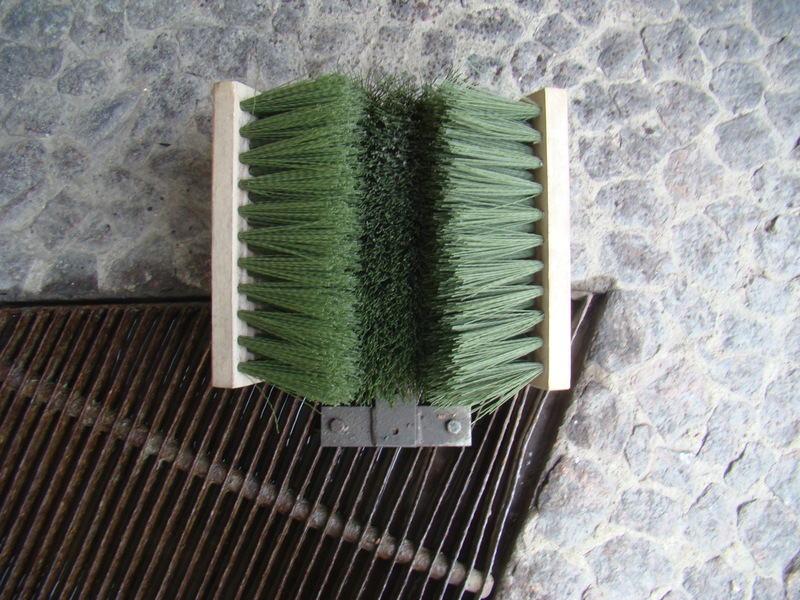 This Pixelache micro-residency programme is also a sort of spin off of LabtoLab. As Catherine put it 'projects among the L2L partners and participants are perhaps only just starting, now they have taken the time to get to know each other. C: Let's consider this post a half 'bug report', a half feedback and a fragment from the week. What does it mean to be a meta-resident ? One way to answer would be: 'to dedicate your time to co-develop the program you've been invited to', and moreover, a program focusing on rethinking the concept of a residency in itself (definitely the kind of 'Russian dolls' project that I like). To use the words of another LabtoLaBBer (Wendy Van Wynsberghe from Constant), borrowed from a text she recently shared with me : 'to open up the residency box', that is what being a meta-resident means. Indeed I like to open up concepts, cultural schemes and models, as you open up devices dear Wendy. Because it is also about circuits. It is about net culture organizational science, alternative economies, critical policy making, lab-long-learning and peer-production. N: The idea of meta-resident to identify Catherine's role as the first resident of our new programme, actually came up during her stay. Originally the generic title for the programme was 'Learner in Residence'. But after discussing this matter, we realised that it didn't fully describe the reality of the exchange taking place. The host organisation in that case is just as much of a learner. So we decided to keep the idea of 'micro-residence' and make it the generic name for the programme instead. The term 'micro-residency' seemed to reflect both the compact nature of the residency (1 week) and the fact that it focuses on a range of micro-aspects, but nonetheless essential. We also decided that a new title would be invented for each resident, according to the focus of each residency, a little like Pixelache ever-changing tagline on the main page of our website. That's how Catherine became a meta-resident. C. Indeed a week is short : a micro-format for a micro-deconstruction/ reconstruction. So rethinking and co-developing starts with re-displaying on the table the traditional ingredients you need to make a tasty residency: transport, accommodation and hospitality, the whole economy involved, the informal exchanges and human aspects - aspects that are usually taken for granted or considered secondary. These are the ingredients we wanted to cook with during the residency, to taste new recipes. N: When one starts looking into this micro level, it opens up new perspectives and one realises that the whole residency can take on a new meaning, just by twisting one of these 'secondary' aspects. To me this residency programme is also a tool to test new production methods that can be reused later into other activities, towards more sustainability. Because the production of almost any events, be it a residency, a conference, a workshop or a festival, always involves arranging travel & accommodation, hospitality, budgeting etc. C: We focused especially on the economical aspect as it affects the residency as a whole: how do you host your guest ? If you save money on accommodation will you be able to offer more per diems? Would it be possible to support his/her visit together with another local partner ? Etc... It was also interesting to know/to note that to launch this pilot program, a new line in the Pixelache budget was created. It represents actually 1% of Pixelache's annual budget : the 1% to support peer-learning. Nice effort and good practice which I think should be followed. Time was also spent to think of how to sustain the residency program and its economy, and I shared tools tested and developed as part of LabtoLab. N: Regarding the 1% dedicated to peer-learning, just a comment to say that another big part of our budget is dedicated to peer-learning but through another format: Pixelversity, our year round educational programme coordinated and facilitated by Andrew Paterson, with whom Catherine also spent a lot of time during her stay. C: We exchanged on and tested different formats during the week. The schedule contained a public presentation & screening and a small workshop with some of the Pixelache members. Through those events I shared thoughts and experiences of the LABtoLAB experiment, a 2 year project based on informal learning within labs, involving new types of funding schemes (educational ones), a flexible co-organisation, with a focus on 'forgotten' aspects of EU cooperation projects : hospitality, an open stage for testing methods and new projects within the project, peer-production through collaborative writing and documentation. As the initiator and coordinator of this networked project for PING, I've been hacking/taking advantage of several Grundtvig schemes (among others : Learning Partnerships, Preparatory Visit, Visit&Exchange) to explore new ways of doing cultural production. N: The rythm of the residency is something we spent time thinking of. How to combine within one week both public events, practical sessions in small groups with Pixelachers, face to face meetings inside and outside of Pixelache, time for reflecting on the week and reporting, and last but not least, for the unknown and the unplanned? Each residency's rhythm will be different, as formats will be remixed. C: This also led us to think this residency in terms of reciprocity, also using my hat as a PiNG ambassador, to figure out how to host back a Pixelacher or Pixelache Helsinki collaborator in Nantes for a micro-residency. Imagining the second part of this Helsinki-Nantes exchange, was a good opportunity to tour around and meet some close collaborators of Pixelache : Massimo Menichinelli and Anu Määttä from Aalto FabLab (new FabLab in progress at Media Factory/Aalto University), Juha Huuskonen, founder of Pixelache and former Programme Director who currently runs new projects for the Open Knowledge Foundation (upcoming Okfestival) and Taika Ilolla from Dodo, non for profit organization focused on urban and ecological issues (Dodo runs a yearly event called Megapolis - the next edition will be entitled 'The City of Doers' and is also developing a tuning-repairing collaborative space to be located in the future Helsinki city Library). And as I've been producing several maps for this residency, to visualize the circuits and layers of contents, contributions and economies LABtoLAB has generated, I also arranged to meet Finnish artist Minna Henriksson. She has previously been working on social-mapping projects of different cultural scenes, based on gossip. And guess what, we had a lot to share! During this week, we also found the time to skype with the next resident, a dear LABtoLABBer as well, Melinda Sipos from KIBU, on ingredients to be cooked next time: open data and food, accommodation (this time I enjoyed staying at Nathalie's lovely gest house). We also opened the first chapter of the Pixelache micro-residency BOOKI. And last but not least, we had a girls sauna night where and tasted on this occasion some Bière du Bouffay, a Nantes local beer. Definitely sharing cultures! Co-written by Catherine Lenoble & Nathalie Aubret, february 2012. See photos & documentation produced for the Residency Augmented ToolKit. Post: Watch Lab to Lab documentary online! 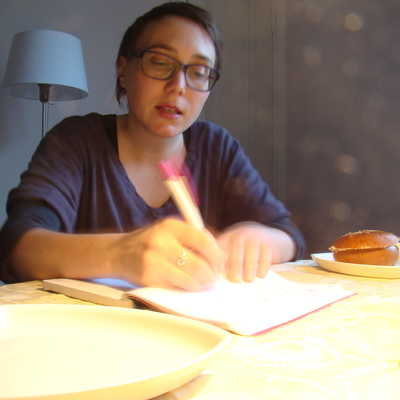 Post: Catherine Lenoble (FR) is our first Learner-in-Residence!